Where do I sign up? In the name of science, of course. The Addictions Research Laboratory in the Department of Psychology at UCLA is looking for Asian Americans who drink alcohol to participate in a study investigating a medication for alcohol use. You'll be compensated up to $478 for your participation, which will involve, among other things, providing a DNA sample, completing questionnaires... and consumption of alcohol. Do You Drink Alcohol? Are you Asian American? The Addictions Research Laboratory in the Department of Psychology at UCLA is looking for Asian Americans who drink alcohol to participate in a study investigating a medication for alcohol use. Participants must be between 21 and 55 years old. Participants will be asked to provide a DNA sample, complete questionnaires, take a study medication for 10 days, complete two fMRI scans, and complete two alcohol administration sessions. The study requires multiple visits to the UCLA campus. Participants will be compensated up to $478 for participation. 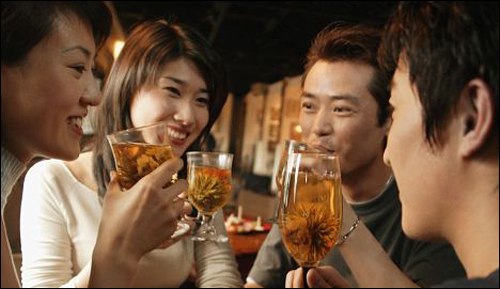 (310) 206-6756 and mention the "Asian American Alcohol Study"
But where will they find Asian Americans who drink alcohol? Hahahahahaahahahahahahahaha. Just kidding. If you're between the ages of 21 and 55 years old, and you can get yourself to UCLA, volunteer yourself for the benefit of scientific research. Heck, maybe I'll give them a call. Science.